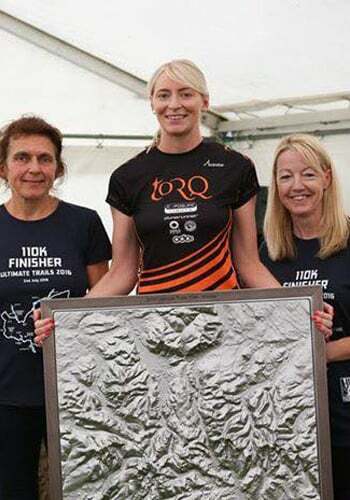 Sally Ford took on the mighty Ultimate Trails 110k, became the Ultimate 1st Lady and brought home the highly unusual, but pretty neat silverware. A tough race with knee deep bogs, 6 Lakeland passes and 14,000ft of ascent/decline this was a brutal race only made more challenging by some typical Lakeland weather. 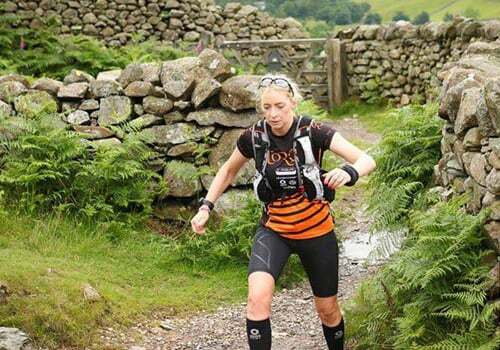 Sally reported back after the event: “The midnight start for this race meant you were already fighting all your body’s natural instincts and nutrition is really important; the last thing your body feels like doing is running or eating. 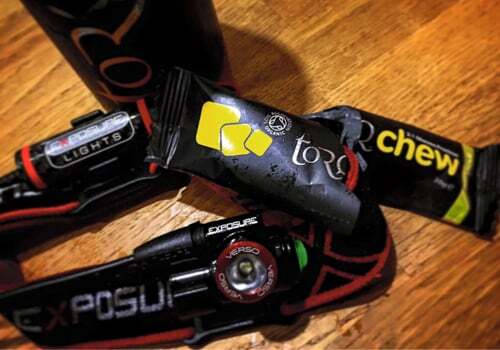 I used the TORQ Fuelling System and particularly the Mango bars and Chews throughout the night. They are easy on the stomach and easy to eat on the move and really worked well for me, keeping me moving through the early hours of the race”. It was also a great chance for Sally to test out her Exposure Lights Veros head torch which didn’t disappoint- “Great lumination and really light, you hardly notice it’s there”. The Zero Point compression socks helped Sally’s tired calves on those ascents and descents too. “This was a superb race which tested me to my fullest, and I was rewarded with some super silverware as I’d ran myself through the night into the position as first woman home in 15:19:03”.